Nice to See You... You are? When a cockerel apparently flies into a chicken farm, the chickens see him as an opportunity to escape their evil owners. Norman Babcock: Well, the zombie is eating her head, Grandma. Grandma: That's not very nice. What's he doing that for? Norman Babcock: [chuckles] Because he's a zombie. That's what they do. Grandma: He's gonna ruin his dinner. I'm sure if they just bothered to sit down and talk it through, it would be a different story. The makers of Coraline and the beautifully crafted but story-lacking 9 brought us another animated movie that did not disappoint. 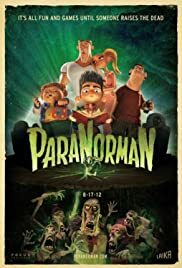 Paranorman was in fact a surprising movie. Unlike any other animated movie, this one picks a new sort of approach, that would probably entertain both adults and children. The film was shot using a Canon 5D Mark II DSLR Camera. To generate the 3D effect, the camera was mounted on a special rig that would take one shot, then slide to a slightly viewpoint to take another shot. However, to generate all the different faces needed for the characters, the film company Laika used 3D printers. The movie takes place in the creepy town of Blithe Hollow, whose name is a mash up of two other ghost stories, Noel Coward's Blithe Spirit(1945) and Washington Irving's The Legend of The Sleepy Hollow(1949). 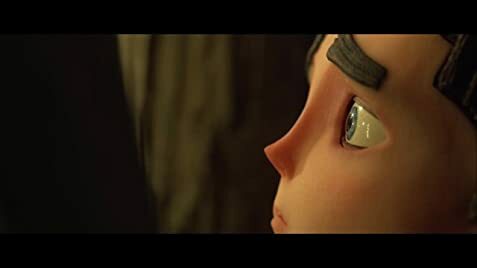 Paranorman tells the story of 11 years-old Norman (voiced by Kodi Smit- McPhee), who can speak to ghosts. Unfortunately, Norman has no friends because people think he's weird. Even his father (voiced by Jeff Garlin) regrets how his son turned out to be. The movie is a little too horror oriented, but funny and suitable for children nonetheless. The characters are well drawn, so you can understand each of their personalities: you have the nice fat kid called Neil (voiced by Tucker Albrizzi), the usual blonde teen (voiced by Anna Kendrick), the bully (voiced by Christopher Mintz-Plasse), and the dumb jock (voiced by Casey Affleck). To be honest, my favorite was Neil. To end with, Paranorman weaves a fantastically dazzling, consistently engaging and touching story. I really appreciated the level of maturity that has gone into this impressive stop-motion animation. A good movie in about every regard, that is fun and entertaining to watch, for both children and adults.